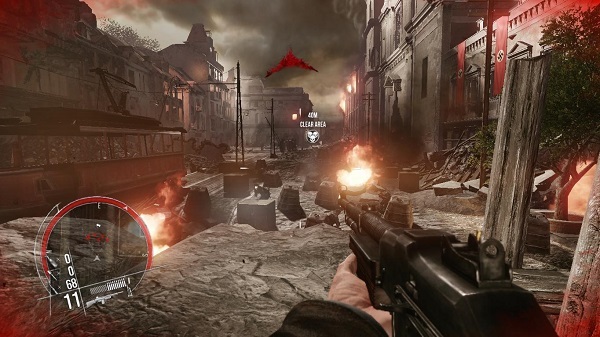 World War II first-person shooters has been lacking in recent years, but CI Games, the developers behind Lords Of The Fallen, has attempted to create a WWII shooter by today’s standards. 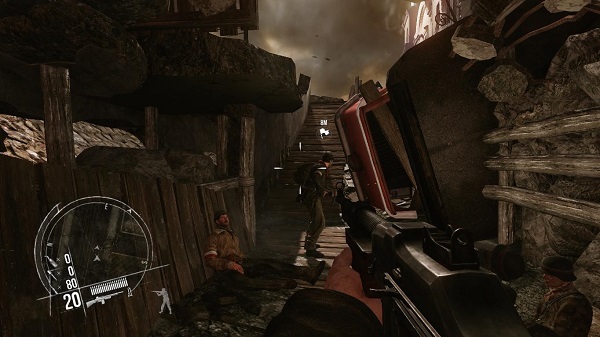 Enemy Front follows the footsteps of Robert Hawkins, an American soldier that fights alongside Resistance Fighters in France, Germany, and Norway during the Warsaw Uprising. The game boasts advanced tactical AI, breathtaking visuals, and lots of different mechanics that can be utilized to further your mission. However, does the game pull it off? Does it deliver on all of these aspects? While Enemy Front had a lot of features that could have worked well together, the game generally feels clunky and restricted. I’d love to be able to say that the game plays comfortably enough and in a unique way, but I feel like the FPS genre nowadays is in such a stale place that it’s difficult to truly innovate a completely new mechanic for FPS titles. Having said that, the title plays fairly similarly to titles like the Call Of Duty series. All of the controls follow the format that these past titles have used. The game plays fairly decently, however. Being a first-person shooter, you get your fill of combat and explosions. There’s no doubt that the game fulfills your need to shoot and kill, but there are a few things that I feel really takes away from the full World War II FPS Shooter experience. One of the main selling points for Enemy Front is their implementation of a “can-do” attitude in terms of your approach. CI Games tried to create an experience where you were able to decide what actions you wanted to take and how you wanted to do them. 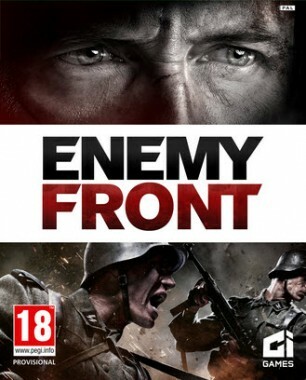 Whether you wanted to blow up everything you see and shoot up every soldier in your vicinity, or sneakily make your way across the terrain to complete your objective, Enemy Front supposedly allows you to follow through with your choice of actions, but from the gameplay that I’ve tried, that really isn’t the case. As you make your way through the level, it becomes clear that certain pathways are blocked. The developers talk about creating an open path for players to take, one where they can decide where to go, but a path is actually set up that pigeon-holes you into going one direction. I don’t necessarily blame them for doing that, since sometimes players need some guidance in high-action titles, but for a guy who was looking forward to taking any path I wanted, sneaking around and catching people off-guard, this was a little bit of a let-down. Another thing about the game that I felt was off was the movement of the character. The character constantly felt like he was treading in muddy water, and it didn’t feel organic. The AI also doesn’t hit quite as hard as I expected. Even when the difficulty was turned up, I was able to take a round or two more than I expected. 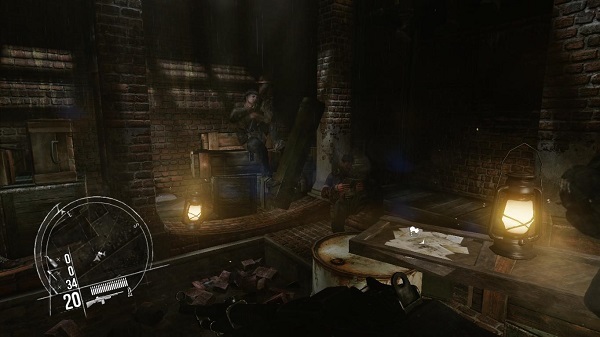 In casual mode, you can literally stand out in the open and take pot shots at the enemy AI without dying, as they fire upon you with all of the automatic goodness that comes with being an NPC in shooters. The battle sequences that took place were also chaotic when they occurred. I kept getting the feeling that I was taking more time finding my targets than doing any killing. While chaos is nice and a good replica of more real situations, the shooting in Enemy Front sort of gave me a headache more than anything. Another personal gripe that I had with the game was the weaponry. As I fired off my rounds into the crowd of enemy AIs, I didn’t really feel a kick in the gun. It felt like I was firing off rounds from a cotton-candy machine. The storyline was very linear, and there wasn’t much variety to the different campaigns. They also have a stealth function, and it wasn’t anything special, but it wasn’t bad either. While I’ve had very limited experiences with the multiplayer aspect of the game, I’ve noticed that there are some issues with the gameplay. Certain bugs occur, like when you reload your gun and press the Sprint button, you’ll stop reloading, but you also won’t sprint. Overall, the game just felt very unfinished and I was actually worried about the future outcome of the title. Others might feel differently about a lot of these points, but I felt all of these contributed to a lesser experience for myself. Graphically speaking, the title was between good and bad. 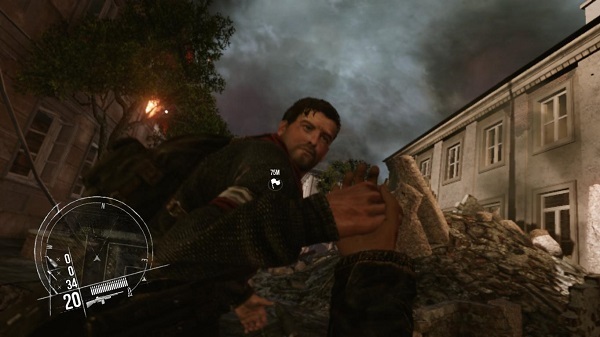 Sometimes I was impressed with the graphics and the textures, other times, I was appalled at what I was looking at. The game isn’t very optimized, and while the minimum requirements aren’t that high, I felt like the game wasn’t nearly optimized well enough for its release. At certain angles, the textures look really horrid and weird, but at other angles it looks very nice and high definition. The sounds and ambience was done decently but I didn’t feel like it lent itself to the title. I was hoping the audio would be the saving grace of this title after its subpar gameplay, but it really left a lot to be desired. It’s really hard for me to give such a score, especially for a title that I tried out during the Namco Bandai’s New Years Event in San Francisco. I was really hyped for the title and was ready to be wowed by CI Games. However, I was left clawing at the sweet nothings that were presented to me in the form of Enemy Front. WWII buffs might find some interest in this unpopular side of the war, but other than that, it’s difficult for me to recommend this title. The AI isn’t as sweet as promised, you aren’t truly given as much options as one would expect, and the shooting mechanics of the game feel very regurgitated. 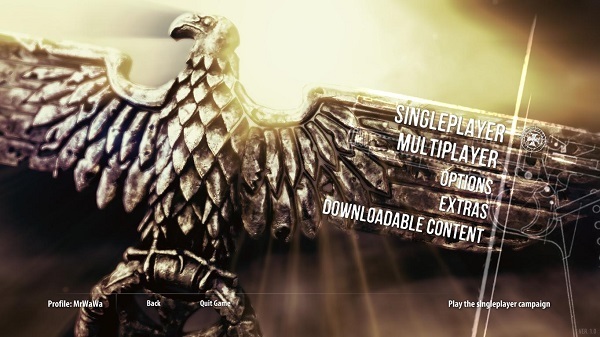 It was a worthy attempt at providing a new twist in the WWII-shooter genre, but the execution felt rushed and incomplete.